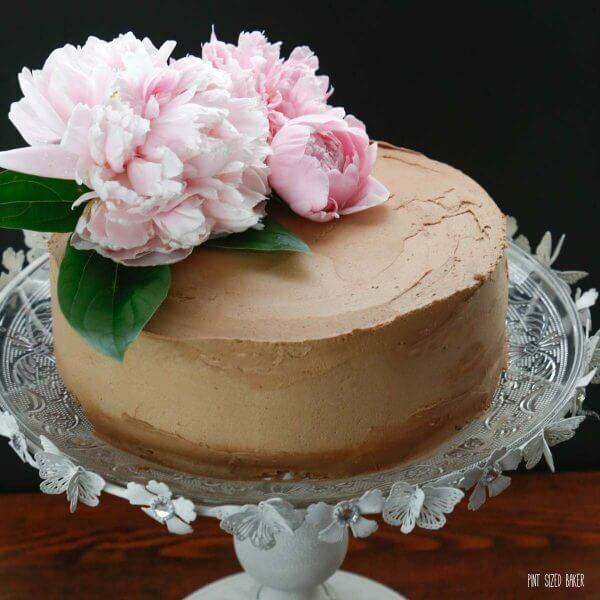 Pick some fresh peonies from your garden or buy them from the store to dress up a basic cake and turn it into a beautiful peony cake for your next party. I love the frilly Peony flowers. There are currently 4 planted in my garden and each spring I look forward to the bountiful blooms that they provide. I wish that the cut flowers lasted longer, but alas, they are only good for about five days before they start fading. My house is filled with them for a few days each year and I just can’t get enough of their sweet smell and beautiful shades of pink. 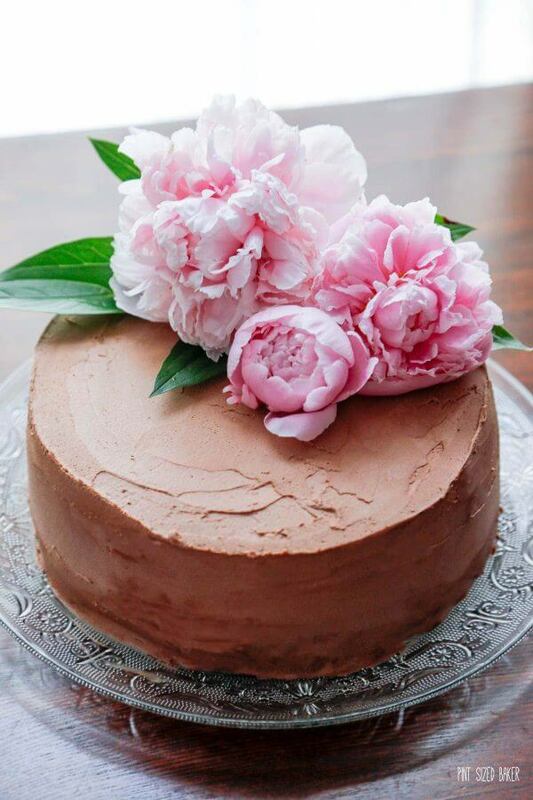 Adding Peonies to a cake is nothing new, but each cake and flower are different and special and that’s what makes each Peony Cake unique. Spring is finally here and I’ve got about 4 inches of the Peony plants poking up through the mulch. This is always an exciting time of year for me. I’ll take a walk through the yard to see what plants have started to bud and reawaken to the warmer days. Spring is a time of rebirth, a time for rediscovery, a time to take a deep breath and embrace all that is and all that is going to be. The Robins are out in full force as they look for a mate and start making new nests. I usually have two to three different nests around the house and I can’t wait to see the babies each spring grow and flourish. I have three different types of Peony Flowers in my garden: Sarah Bernhardt, Sorbet, and an Imperial Red. 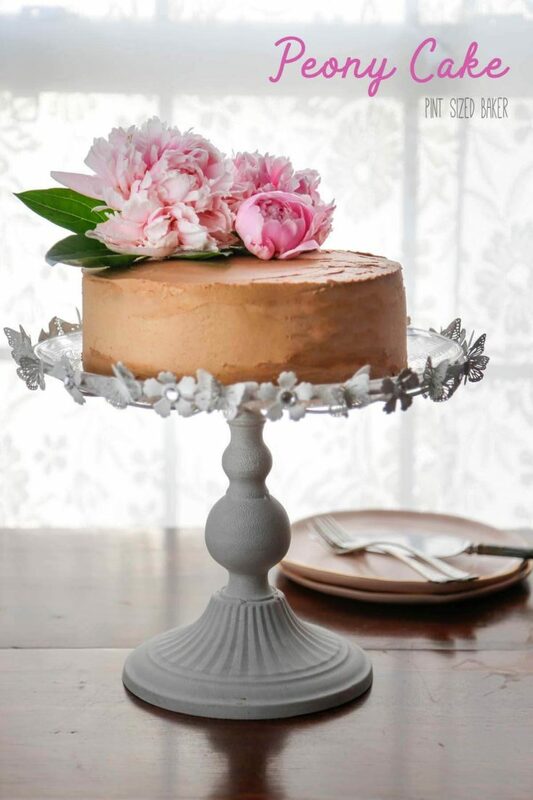 The ones used on this cake are the Sarah Bernhardt ones that you can most commonly find in stores and florists. 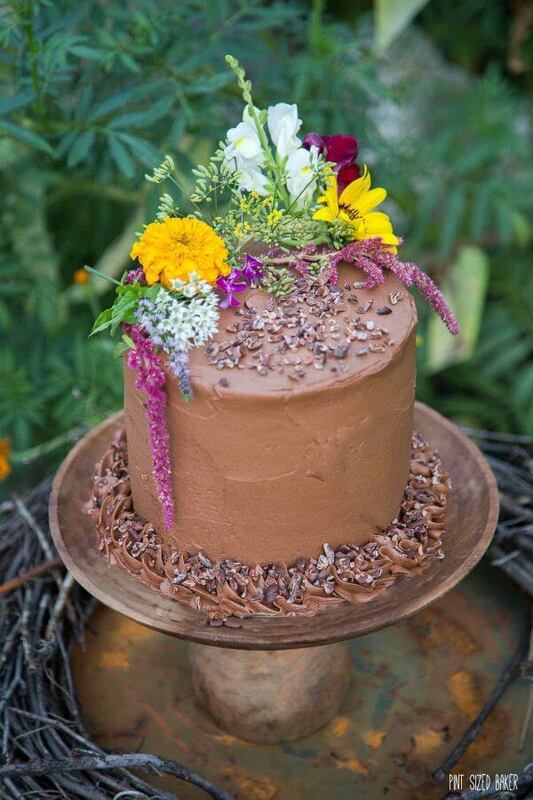 It’s important to keep the flowers as fresh as possible before placing them on the cake. Peony flowers are 100% edible – toss them into a spring salad for a pretty pop of color. Keep in mind any edible flower that may have been sprayed with a pesticide. You don’t want to be ingesting that. I don’t spray my spring flowers, but I always wash them. The sweet fragrance of the flower attracts ants and bugs and that’s just no good for a cake. No pesticides for 30 days if you are going to eat the flowers. Don’t cut the flowers too soon. You can cut when the buds are soft and keep them in water for a few days. Or cut the flower in full bloom and use within 24 hours. Keep the flowers in water until ready to serve. They don’t last long once removed from the water. Cut the stem SHORT! Don’t be poking the end of the stem into the cake. Simply lay it on top of the cake. If you want to have them up the side of the cake, best practice is to wrap the stem in some florist tape or plastic wrap to protect the cake. 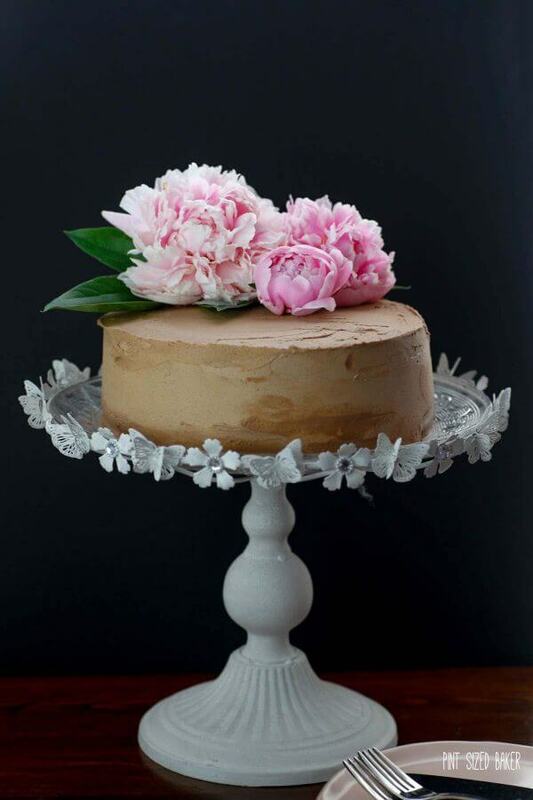 The Peony Cake is done!It’s perfect for your spring party and all the guests are going to love it! I love using fresh flowers in my desserts. Check out a few more Cake Recipes. 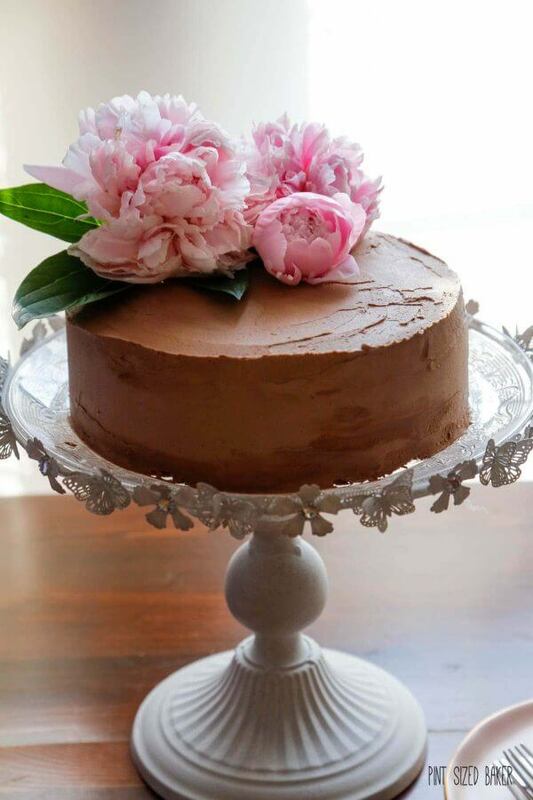 A delicious 8-inch chocolate cake that is adorned with pink Peonies. 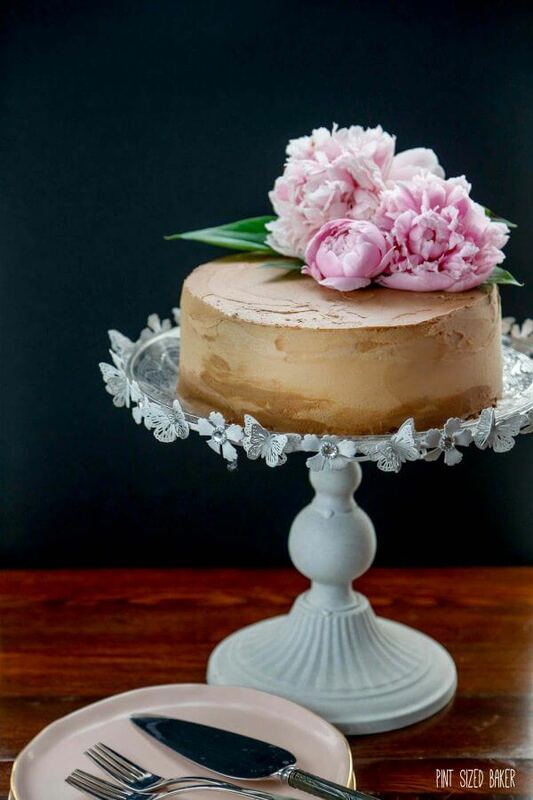 This Peony Cake will be the talk of the party. 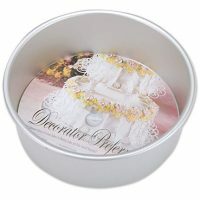 Prepare two 8-inch round cake pans with non-stick spray and flour and bake even strips. Melt the butter and let it cool. Sift the flour, cocoa, baking soda and baking powder. To it add the sugar, eggs, milk and coffee. Beat until mixes and smooth. Divide the batter between the two pans and bake 30 -35 minutes. Cool the cakes in the pan for 15 minutes before turning them out on to a wire cooling rack. Break up the chocolate candy and melt the chocolate in the microwave for 20 seconds at 70% power. Stir it smooth and set aside to cool to room temperature. Beat the butter until light and creamy. Add in 1½ cup of powdered sugar and cocoa slowly until evenly blended. Mix in the melted chocolate and vanilla. Add in the coffee a little at a time until you've reached the frosting consistency. 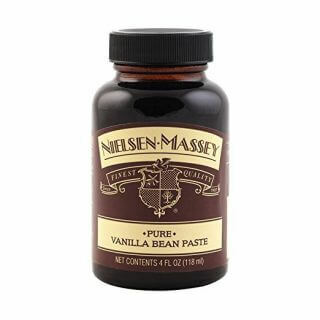 If your frosting is too thin, add more powdered sugar and if the frosting is too thick add bit more of the coffee. Frost the cake and keep refrigerated until ready to decorate. Wash and dry your flowers. Shake off any excess water that may be inside the folds of the petals. 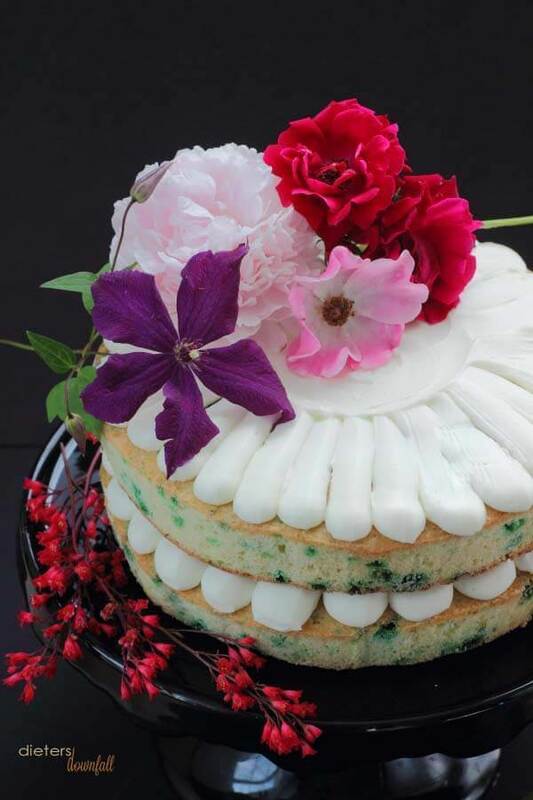 Cut the stems off and lay the flower on top of the cake. Your choice of positioning, but I liked them off center covering about a third of the cake. 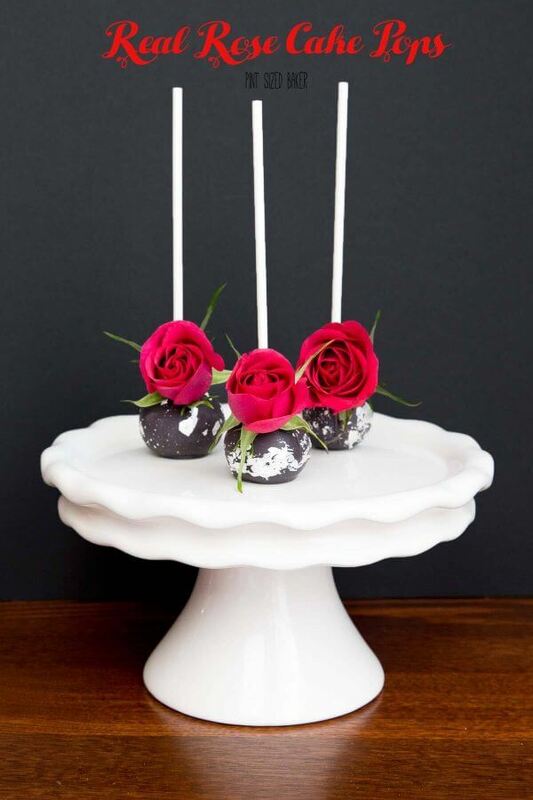 Wrap the stems in plastic or florist tape if you are going to poke the stem into the cake. Use extra greens if desired.